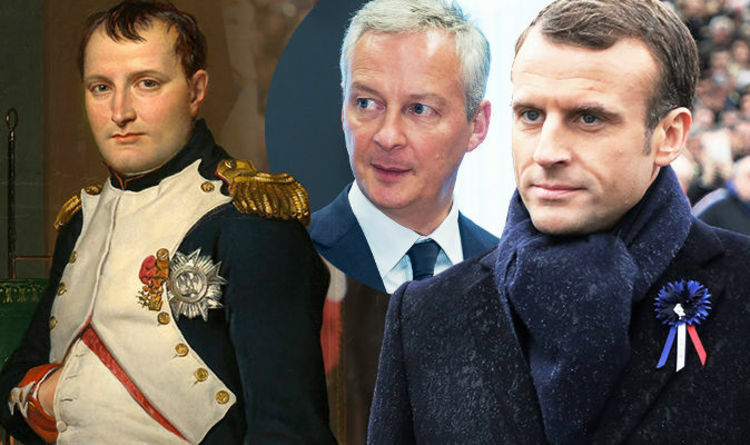 Bruno Le Maire came out in support for French President Emmanuel Macron’s call for a “real European army” but suggested Brussels should go one further and establish itself as an “empire”. Mr Le Maire made the shock admission after the US President branded his French counterpart’s comments “very insulting” and suggested EU countries should instead focus on living up to their Nato spending commitments. "it's about Europe having to become a kind of Empire, as China is. And how the US is," the French finance minister told the Handelsblatt newspaper. “I’m talking about a peaceful empire which is a constitutional state." After being quizzed by his interview on his comments, he added: “Do not get me wrong, I'm talking about a peaceful empire that's a constitutional state. "I use the term to raise awareness that the world of tomorrow will be about power. Power will make a difference: technological power, economic, financial, monetary, cultural power will be crucial. "Europe should no longer shy away from using its power and being an empire of peace. He demanded EU countries tell Mr Trump that Europe is a “sovereign continent” and should decide who it trades with itself. “We want a way to exchange goods and services when financial flows between Iran and Europe are no longer possible,” he said. Mr Le Maire’s comments come after Mr Macron said Europe should be strong enough to defend itself ahead of the weekend’s commemorations of the one hundredth anniversary of the end of World War 1. Writing on Twitter, Mr Trump replied: “President Macron of France has just suggested that Europe build its own military in order to protect itself from the US, China and Russia. During reconciliation talks at the Elysee Palace, Mr Macron reassured the US President that his comments were not a snub to Washington and backed his calls to increase European Nato spending. "We need a much better burden-sharing within Nato," Mr Macron said while patting Mr Trump's knee. Mr Trump declared himself and Mr Macron "very good friends" and spoke of his support for a "strong Europe".